Hot showers made the water just that much colder and threatening. 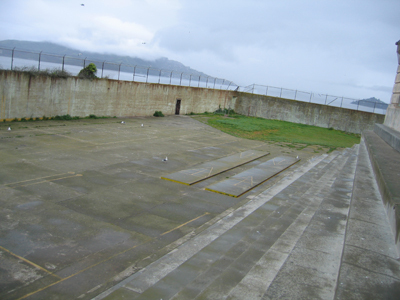 It was known around the prison that if you were to get as far as the shoreline, the swim would kill you. Between the temperature and the currents, making it to San Francisco proper was said to be impossible. A group of inmates fashioned utensils from the dining hall into chisels and other tools to bore through vents in their cell walls. Going up the inside of the walls they dropped grenades on officers and also got their hands on some firepower. These select few made it into the water and were never found. Many theories of their fate have been proposed, but no one knows for sure. Fellow inmates claim that if they survived the swim they went to South America, as many studied and became fluent in Spanish in their cells. The island was first claimed and named by the Spanish. Alcatraz is a Spanish word meaning gannet. A gannet is a bird that looks like a seagull mixed with a pelican. Today, testy seagulls reign over the island. Soon after the Spanish landed on the island, gold was found nearby spiking the population of San Francisco exponentially. The prison ceased use due to weather that doesn't permit. 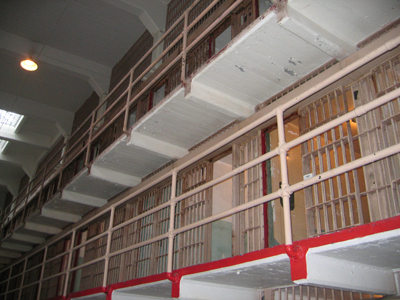 The compound is decaying at a rate too cost-inefficent to maintain proper prison standards. The prison functioned from the 1930s to the 1960s.